The Indian Stamp Duty Act might undergo some major changes as the government is set to implement a new legislation that will bring uniformity in the duty levied on transactions in financial instruments and avoid double taxation. States have agreed in principle to the proposed changes in the 1899 Act. According to a finance ministry official, a draft cabinet note has been circulated for inter-ministerial consultations and the bill could be introduced in the Monsoon session. Stamp duty reforms are vitally important because the levy has been kept out of the proposed goods and services tax that seeks to replace a number of state and central indirect taxes. The new legislation has proposed a uniform levy of 0.005% on all securities transactions, which will end complications due to differential rates among states. Uniformity in rate is good for the market but according to an expert the stamp duty rate proposed is on the higher side and can inflate already high transaction costs. The new framework, finalised over the past six years, will drop several provisions. Apprenticeship deed, article of clerkship, award, cancellation deed, and charter party that currently attract stamp duty will be exempt if the current draft of the bill is accepted by the states. The centre and stock market regulator SEBI had also asked states to either waive or rationalise stamp duty on financial transactions executed electronically to bring down transaction costs. The duty levied on the total value of the transaction varies from state to state and this differential prompts brokers to shift to states with lower duties. 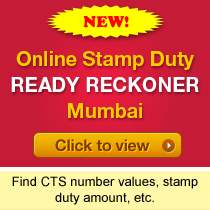 Maharashtra levies stamp duty at the rate of 0.005% of the transaction value. Delhi levies it at 1,000 per 1 crore while Kerala charges 5,000 per 1 crore. Lack of clarity in rules over the imposition of the levy also complicates matters and leads to double taxation. Some states had also sought a change in overall duty structure from monetary value to a fixed-percentage based rate system. States get a bulk of their revenues through stamp duty on real estate transactions, conveyance deeds and financial instruments. Parliament has the powers to prescribe stamp duty rates on instruments such as bills of exchange, cheques, promissory notes, bills of lading, letters of credit, insurance policies, transfer of shares, debentures and proxies. In the case of other instruments, the power to prescribe rates rests with the states. The new bill will also provide for e-stamping and changes of all registry offices in India.